SPB Software has announced the release of SPB Mobile Shell 5.0, a major upgrade to the world's bestselling mobile application, popular among both end-users and OEMs. Unlike all the previous versions of SPB Mobile Shell available exclusively for Windows Mobile smartphones with touchscreens, version 5.0 is to be released for Android, Windows Mobile and Symbian. Thanks to the new portable SPB UI Engine, SPB Mobile Shell is planned to be spread to more mobile platforms. 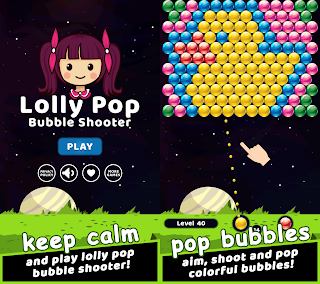 Major updates to the new version include a new 3D engine and an improved social networking integration. The former means support for new types of eye candy effects such as 3D Media Player, 3D Photo Viewer, 3D Weather, dynamic 3D widgets and more, while the latter involves message, contacts, photo and status sync with popular services, namely Facebook, Twitter and LinkedIn. One important innovation in SPB Mobile Shell 5.0 is the Natural Interaction Engine which includes support for G-sensor and multitouch, a dedicated Feedback Engine providing realistic visual and haptic responses, and a Physics Engine responsible for the real-world behavior of all objects. SPB Mobile Shell has been publicly recognized as the best-selling mobile application across all smartphone platforms for three consecutive years: 2007, 2008 and 2009. At the same time SPB Mobile Shell enjoys popularity among mobile carriers and OEMs. It's been shipped to over 15 device manufacturers, including Sony Ericsson, Toshiba, and O2. To make implementation process even smoother, we have added SPB UI Builder 2.0 a tool-chain for easy customization of SPB Mobile Shell and other products that are built using the SPB UI Engine. It includes APIs for pluggable components, the skin builder and a set of plug-ins for integration with industry strength design products such as 3DMAX and Microsoft Expression Blend. More information is available from www.spb.com. 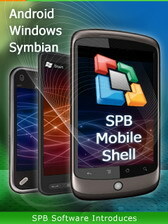 0 comments on "SPB Mobile Shell 5.0 for Windows Mobile, Android and Symbian"